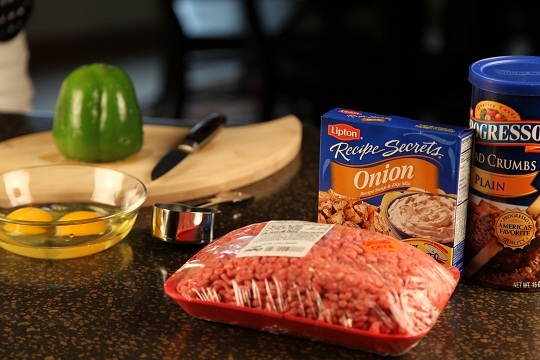 This is the BEST meatloaf recipe you will EVER taste! This is the best meatloaf recipe and it features a sauce made with brown sugar, catsup, nutmeg and dry mustard and the result is over the top! 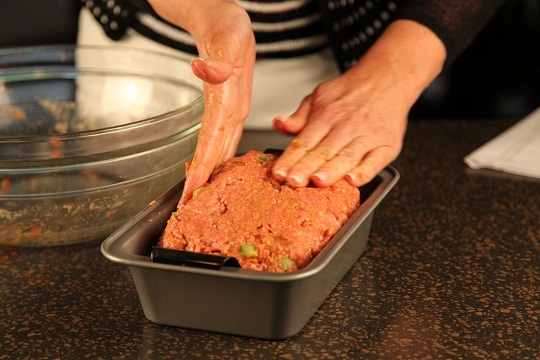 This easy meatloaf recipe will make one large meatloaf or two smaller meatloaves. It’s a good recipe to make ahead and freeze. Just freeze the loaf and then thaw and bake. Freeze the sauce and add the sauce when you bake it. 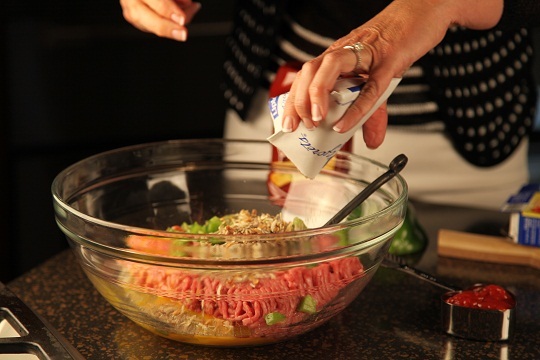 Mix the ground chuck, dry onion soup mix, eggs, water, ketchup, dry breadcrumbs and chopped green pepper together. Spray the meatloaf pan with Pam. Shape meatloaf and put into loaf pan. Bake for 45 minutes at 350 degrees. 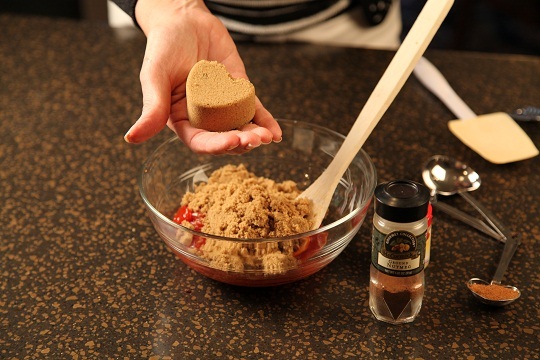 While meatloaf is baking, mix the dark brown sugar, ketchup, nutmeg and dry mustard together. After 45 minutes, spoon the sauce over the meatloaf, place it back in the oven and continue baking another 45 minutes. 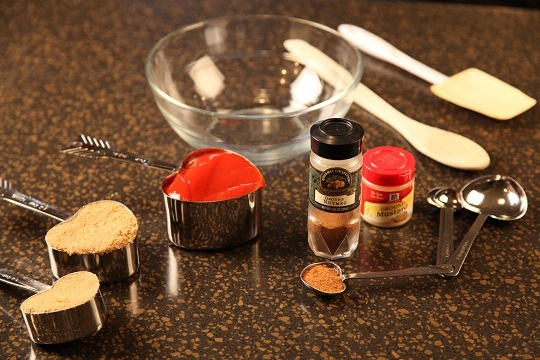 Mix the ground chuck, dry onion soup mix, eggs, water, ketchup, dry breadcrumbs and chopped green pepper together. Shape and put into a loaf pan. 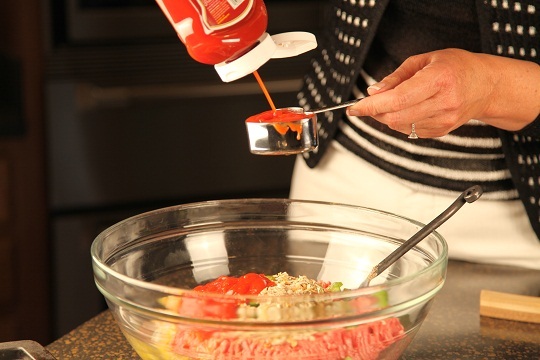 Spray the meatloaf pan with Pam before putting the meatloaf into the pan. Bake for 45 minutes. 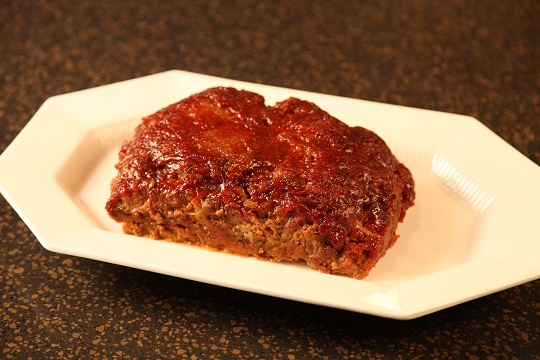 While meatloaf is baking, prepare sauce for this best meatloaf recipe by mixing the dark brown sugar, ketchup, nutmeg and dry mustard together. 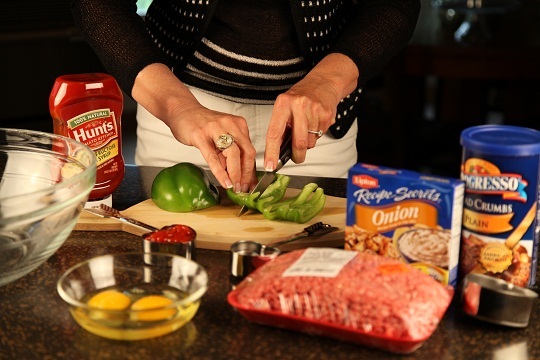 After 45 minutes, remove the meatloaf from the oven and spoon the sauce evenly over the top. Place the meatloaf back in the oven and continue baking another 45 minutes. I like to serve this with Cream Cheese Whipped Potatoes. 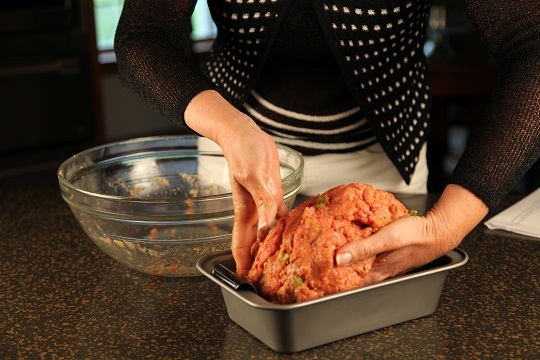 Here’s my tip for baking a great meatloaf: Use a meatloaf pan. 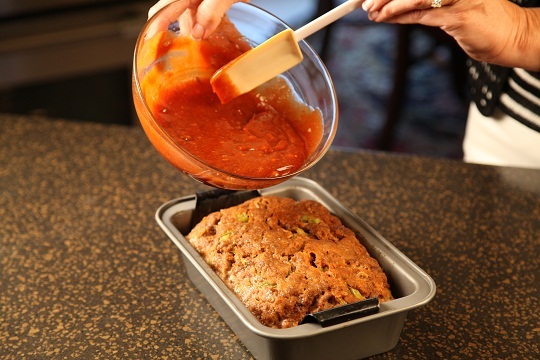 The meatloaf pan allows the fat to drain off of the meatloaf as it bakes, circulates the heat and cooks evenly. 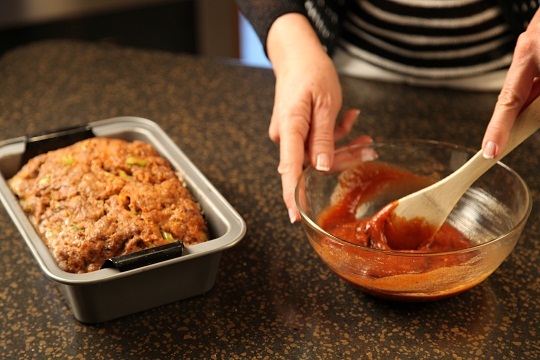 It also makes it so EASY to remove the meatloaf from the baking pan! First of all thank you. I enjoyed watching you this morning on tv on WBTV. 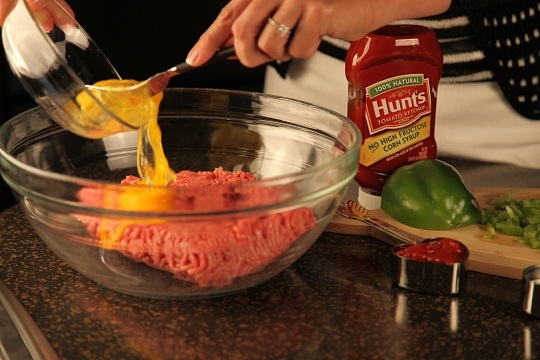 I want to make this meatloaf. It looks really good. To freeze the other one do you cook it first or after you take it out of freezer? if you freeze it, does that affect how long you bake it for?